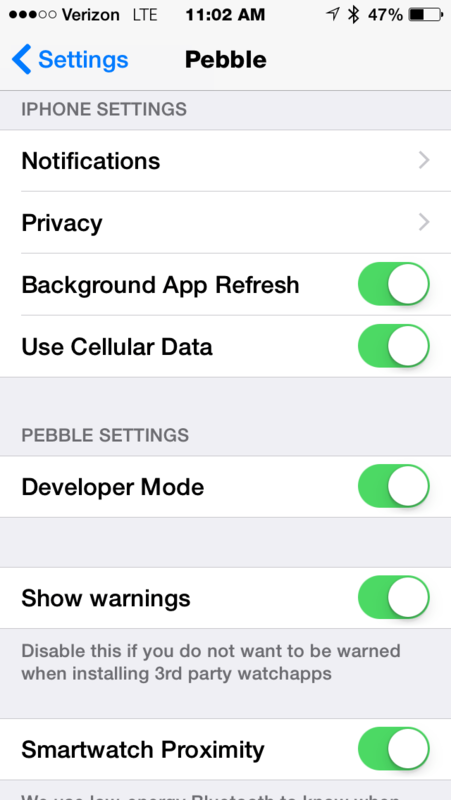 So with NewsSnacker, on an iOS device, go to Settings and then scroll down to Pebble near the bottom. Click on Pebble and then look for Developer mode. Turn this on. Now you can load apps directly. So with NewsSnacker, ( Download NewsSnacker here ) and it will ask what application you want to use to upload it. Select Pebble and it should install the app. And that’s it!